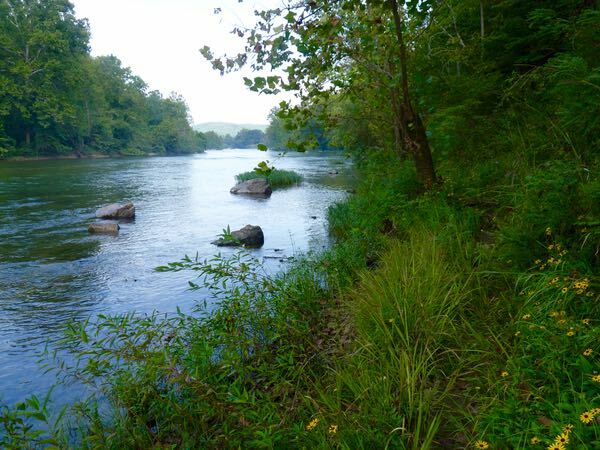 In the morning, I hiked a trail from the campground 2 1/2 miles round trip following the Current River to Blue Spring. Sometimes it was hard to see the path in the dense woods. At other times, it was just one step from slipping into the river. 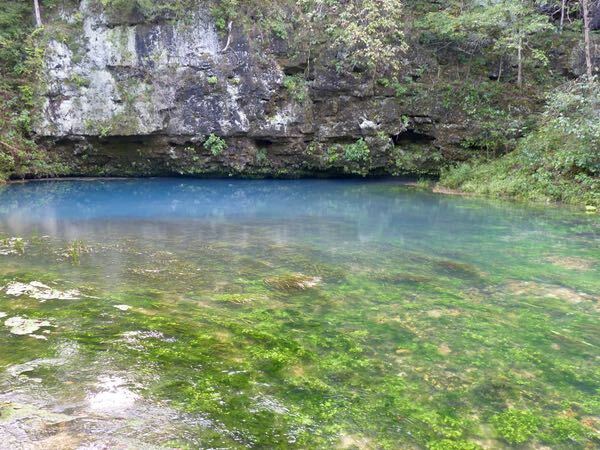 The spring pooled up at the base of a cliff, with a rich blue color from minerals in the rock. 87 million gallons per day pushes up and flows a short distance into the river. There were upper and lower platforms for viewing the pretty scene. I arrived back at the camp soaking wet. Not from sweat, although it was 80° and 80% humidity; but rather, from the damp weeds crowding the way. It would have been nice to have had a machete. A cold shower and a cup of ice cream offered relief. My campsite backed up to the Current River, with shade trees all around. Since it was the middle of September, only one other camper was in the small campground and he was using a tent. We might have been there at the same time in September. The day after I visited Jacks Fork, the whole area was flooded and evacuated. My granddaughter just spent about 10 days with a friend in the Ozarks, hiking, biking, rafting, tent camping, etc. She loved it. 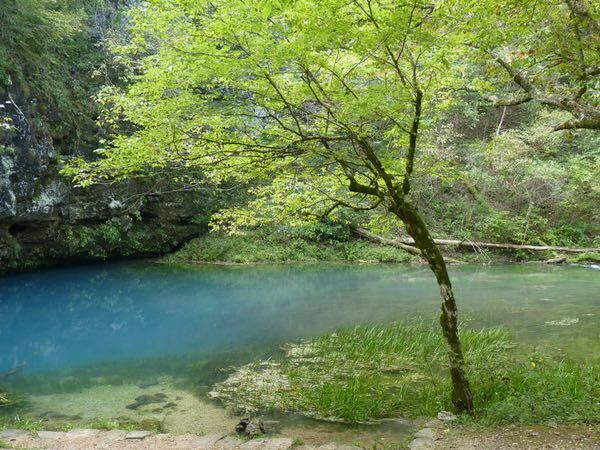 I have always wanted to go to the Ozarks but have never made it so far. Maybe someday. Those are the things that attract many folks. 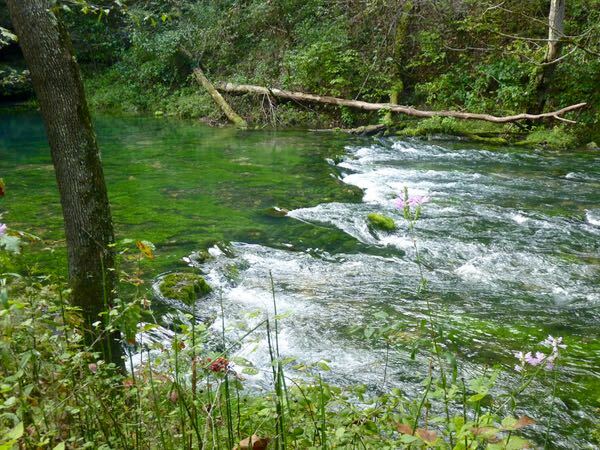 For me, it was nature, the springs and wild rivers.